Lord Ganesha is known as the god of wisdom. So to present gratitude for the great god, his birthday is celebrated with great pomp and show as Ganesh Chaturthi. No doubt, India is a land known for festivals and we very well know that Lord Ganesha had a main inclination for sweets. Being a great day it is celebrated on the fourth day of Bhadarva Shukla-peaks and falls around August or September as per the Hindu calendar. It continues for about 7-10 days and ends with a grand celebration through fire crackers, images of Ganesha for “Ganesh visarjan” and devotional songs. No doubt, India is a land known for festivals and we very well know that Lord Ganesha had a main inclination for sweets. 1. Modak: This is the best kind of delicacy anyone can eat anytime. 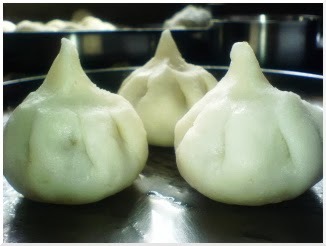 This steamed sweet form of dumpling is famous and most favourite sweet dish of Lord Ganpati. Like most dumpling varieties this is also made from rice flour. But the love of the elephant god is such that you will find only this variety of dumpling in India. These are usually made during the 10-12 day long festival of ganesha. 2. Kaju Ki Barfi: It is one of the sweet prepared on this special occasion. Its ingredients include cashew nuts, sugar and ghee. The enjoyment of this day increases with the making of Kaju ki Barfi and offering it to the Lord Ganpati.